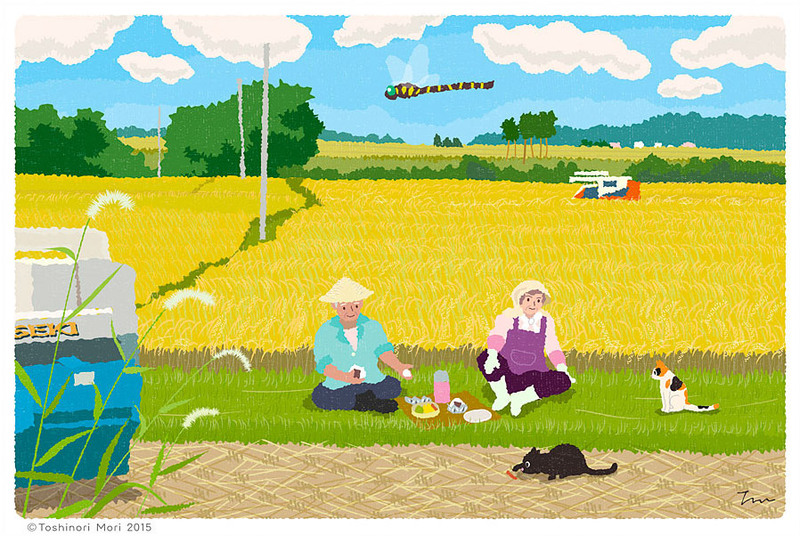 Toshinori Mori is a freelance illustrator living in Niigata. 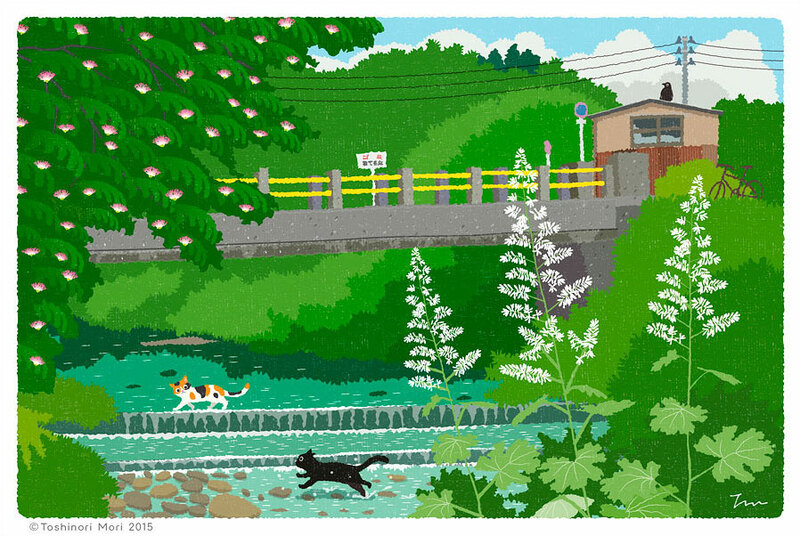 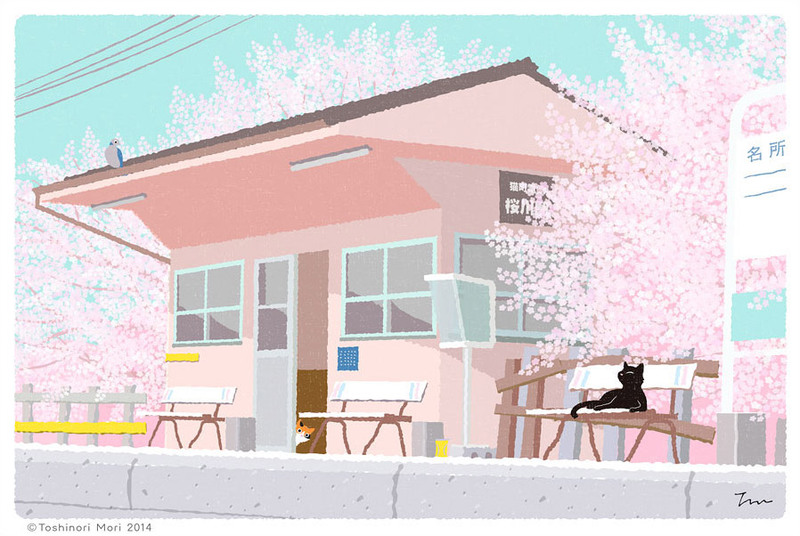 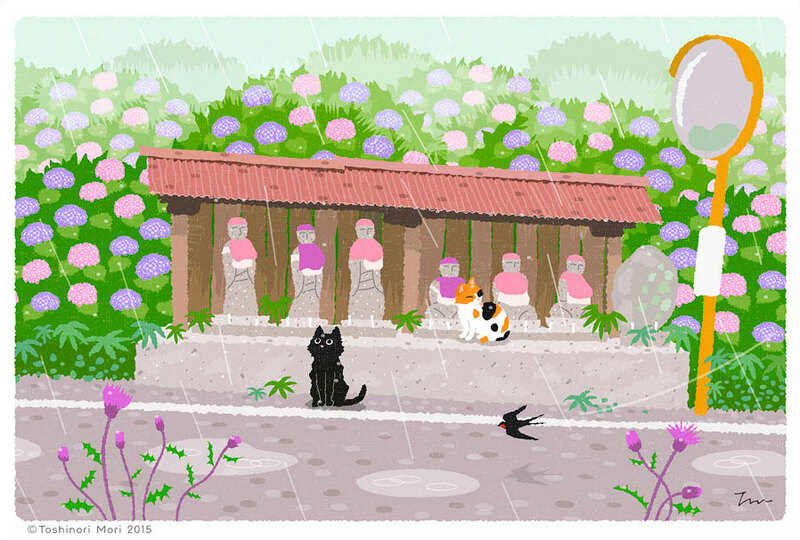 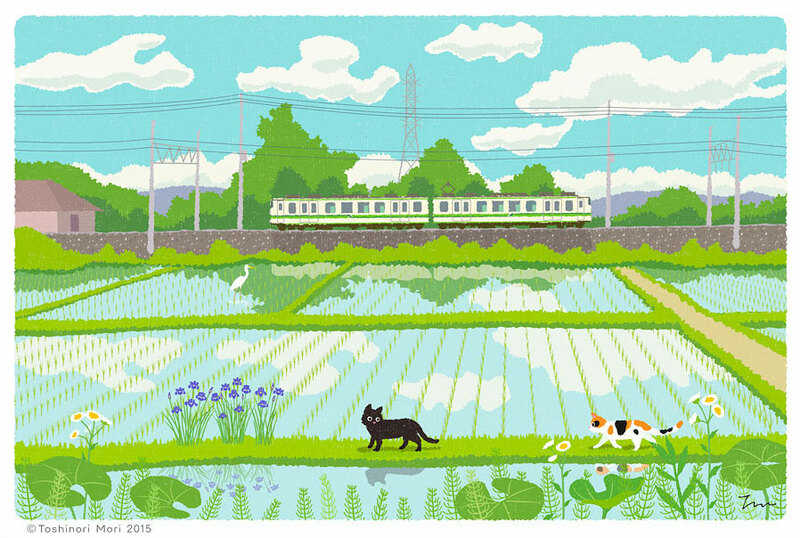 Inspired by beautiful Japanese landscape and his love to cats, he created a series of illustrations named Tabineko (which means cat goes on a trip). 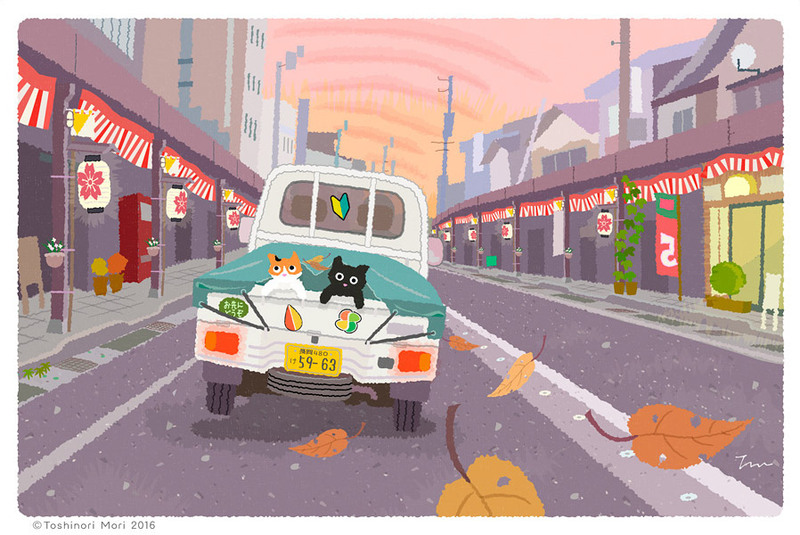 The series features a black cat who travels with his friends through various places, like city streets or country lanes. 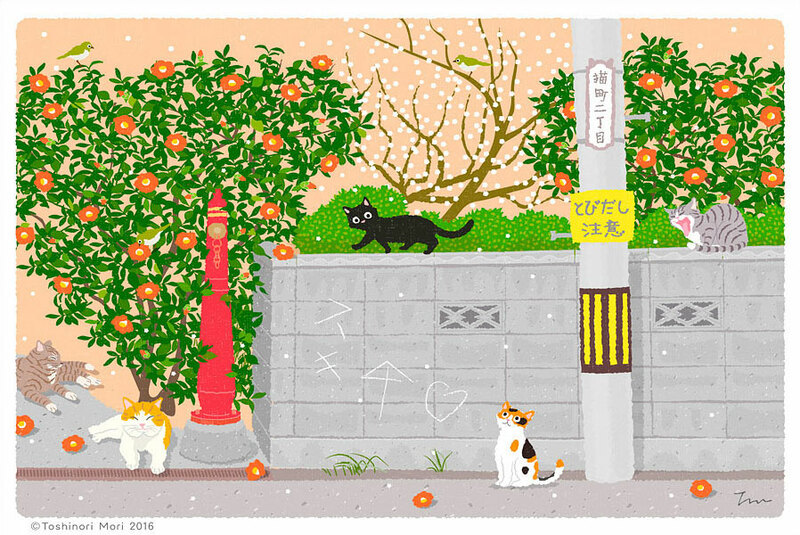 Toshinori is also fascinated by the seasons, which are constantly changing Japanese landscape – you can notice this on each illustration. 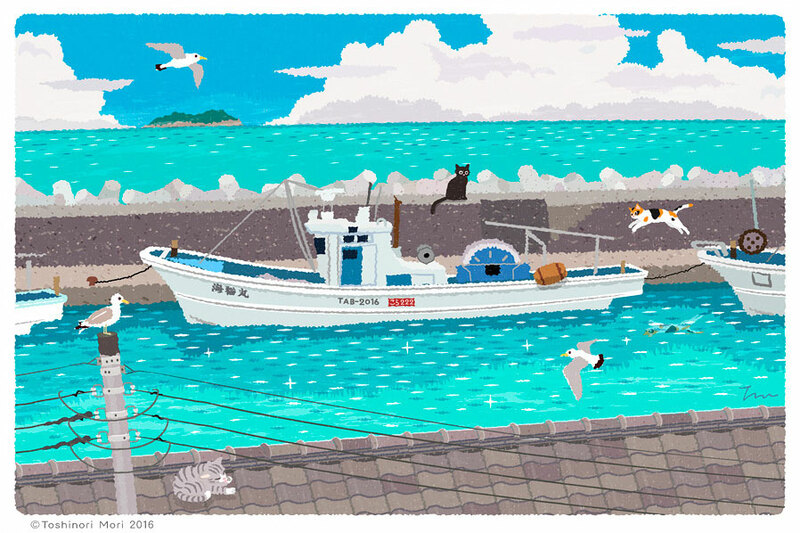 You can follow Toshinori Mori on Behance and Tumblr. 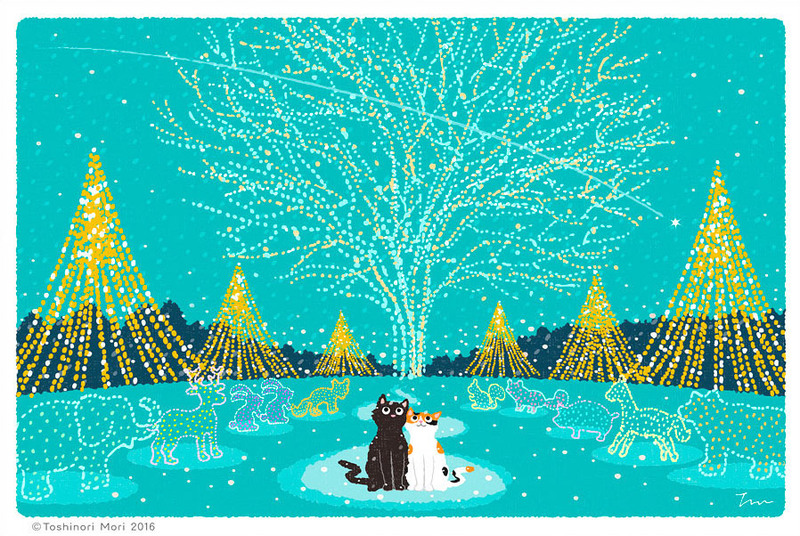 Most of his beautiful works are available for purchase as postcards and prints on Etsy shop.